This week I had a bit of serendipitous stitching. I took Xander to a soft play centre and sat down to do a little stitching while he played – it’s something I regularly do when we’re not meeting friends, or until our friends arrive as we’re invariably early. One of the ladies who works at the centre approached me and said that she’d often seen me stitching and wondered if I took orders. Well, I always have a few of my cards on me so I handed one over and we chatted a while. 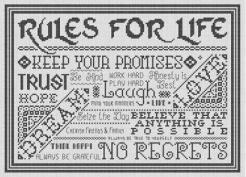 It seems she started a project years ago for her grandchildren but never finished it as her eyes aren’t as good as they once were and she would like a tag stitched for each of her nine grandchildren to complete the piece. As Im’ a regular customer there, she’ll bring in the piece as it is to show me so we can discuss what she needs. It’s a good thing she’s in no hurry because I couldn’t possibly take on another stitching commission till at least the new year! 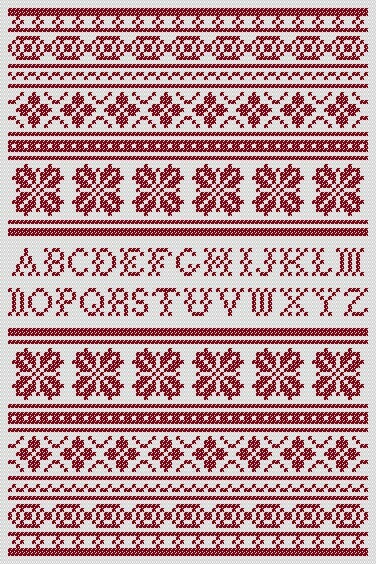 This traditional-style sampler was released on Monday 19th September. As you can see, it’s charted for the traditional red, but could be stitched in any colour to compliment your home decor. I think it would look gorgeous in a variegated floss, or you could choose different colours for each section for a completely different look. Or how about different shades of the same colour for a tone on tone look? Or two contrasting colours? It’s up to you! 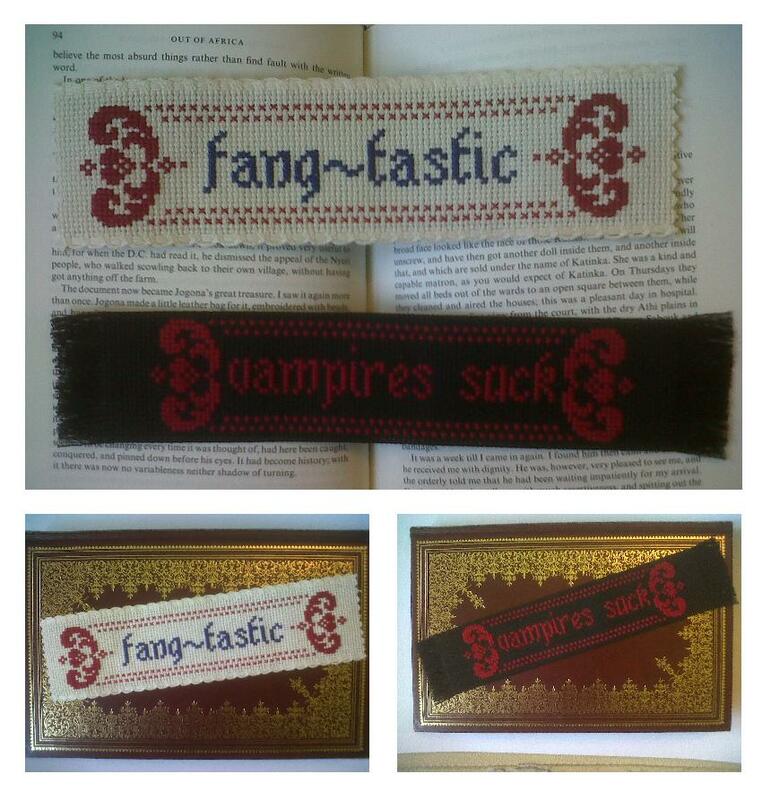 This fang-tastic pair of bookmarks will be released on Monday 26th September. They’re quick, versatile pieces that could be stitched in any colour combination and finished in many different ways. As you can see, although the designs are very similar, they look completely different depending on the choices you make. 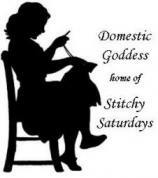 This entry was posted in Memes, Stitchy Saturdays and tagged Bookmark, Crafts, Cross Stitch, Cross Stitching, Domestic Goddess, Folksy, Kincavel Krosses, Memes, Sampler, Stitchy Saturdays. Bookmark the permalink.